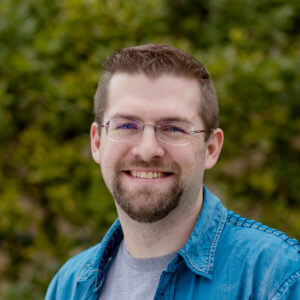 Matt has a 20-year history in software development with a strong background in the Magento platform. His experience in the Magento space began when the product was still in beta stages. Matt was instrumental in driving Classy Llama’s decision to focus on the Magento platform. He has applied his development expertise to over 75 organization’s projects delivering results in each engagement. Matt’s expertise includes the development of an ERP integration with Magento and entire eCommerce site builds. Today, Matt applies his experience and knowledge to drive success for online merchants related to development operations and site performance. He also maintains his certification as a Magento Certified Solutions Specialist. A lie that is easily thought to be true, excessively ambiguous communication, physical exertion (The necessity of it has me involved in a disciplined routine, but I don’t enjoy the actual effort involved). I have a wife who tackles life with a vast determination, that keeps me from being idle and balances my life with the things I do not do well. I have two amazingly different daughters and one son, and they provide the incentive that inspires and challenges me to be a better man.